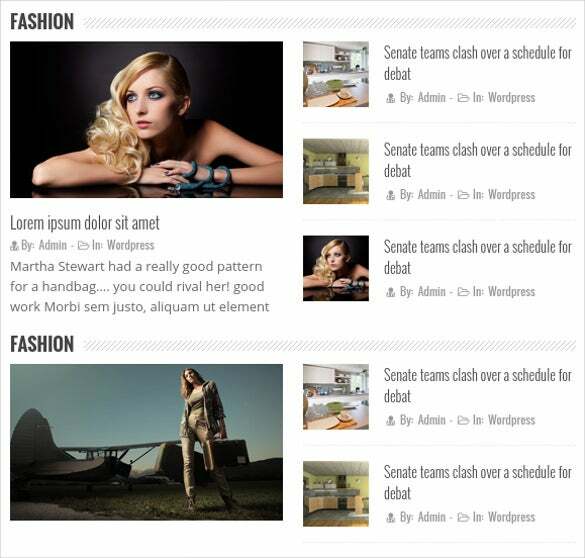 News channel or a magazine can use the Education News PHP WordPress Theme for explicit designing. 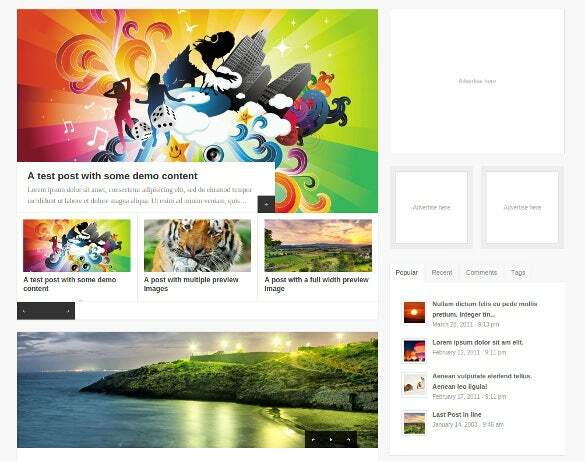 HTML 5 & CSS3 coding, retina ready images, Plugin, SEO rich content, WooCommerce features, simple Google analytics are some of its features. 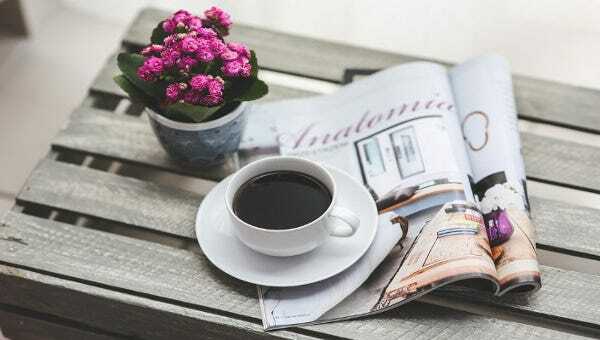 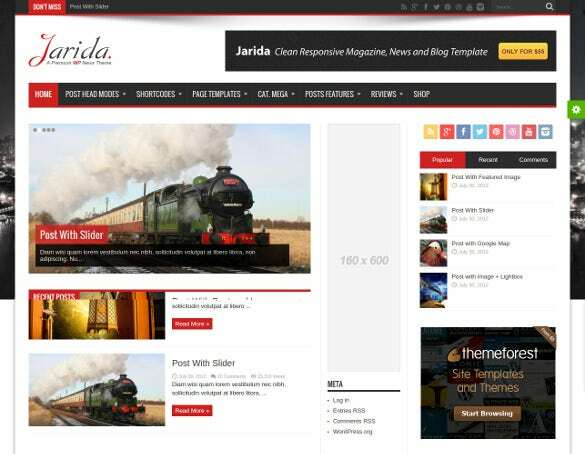 For a 100% responsive theme with free high resolution photos, back-to-top button, seo rich content, cross browser compatibility, Jarida Responsive PHP WordPress News is an ideal option for magazine, news or blog designing. 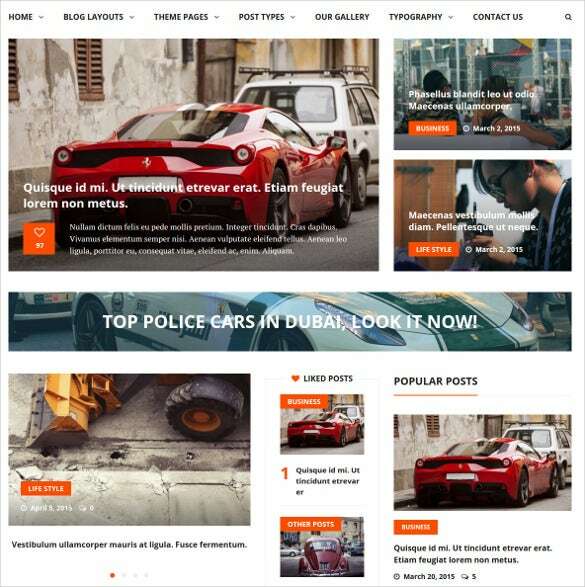 Crafted in Bootstrap, Le News PHP WordPress Theme comes in responsive layout with retina-ready images, validated HTML5 files, cross browser compatibility, numerous short codes, SEO rich features, and is best for news, blogs, magazines etc. 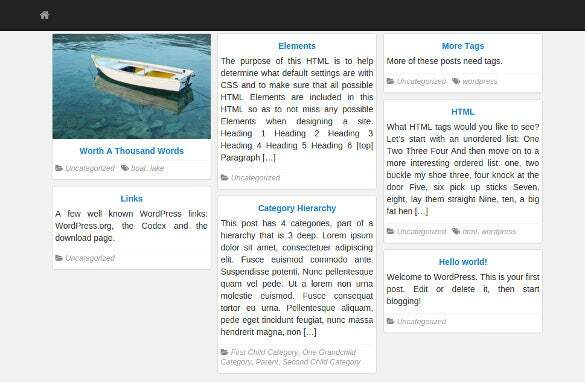 Use the clean coded PHP themes with big banners and images to keep your readers updated about the recent incidents. 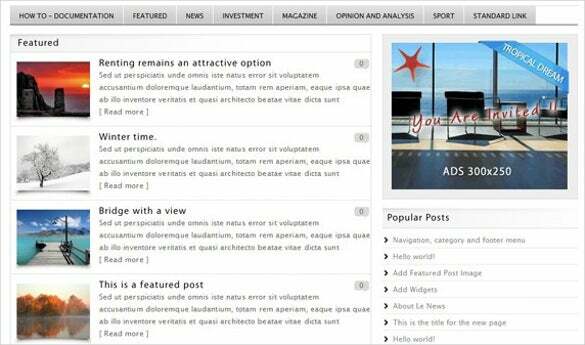 PR News PHP Theme has flexible admin and Bootstrap based framework to make the designs look exclusive. 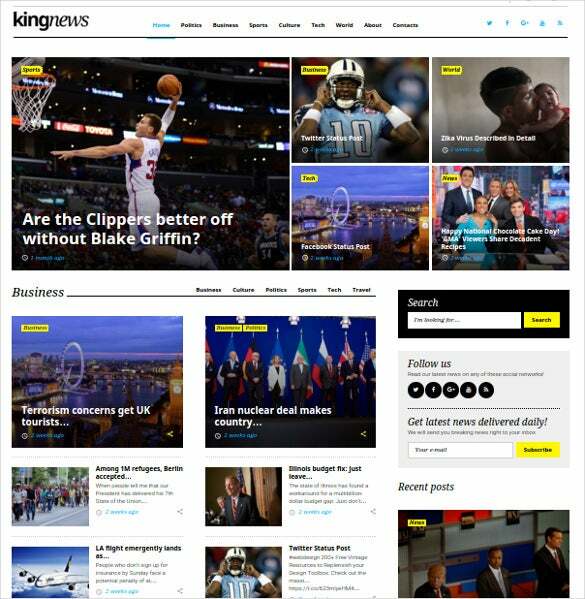 An awesome HTML5 coded option for news, magazines, blogs, the King News Newspaper PHP WordPress Theme has working contact form, google maps, Homepage FlexSlider, fully responsive layout, cross browser compatibility etc. 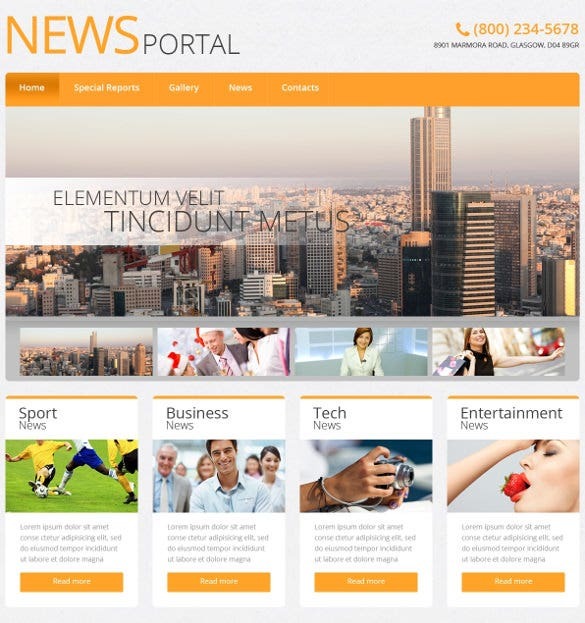 Offering brilliant compatibility feature along with totally responsive layout, EZ News PHP Template has responsive layout, with retina ready features, sticky navigation menu, plenty of plugin, pagination integrated, background slider, short codes etc. 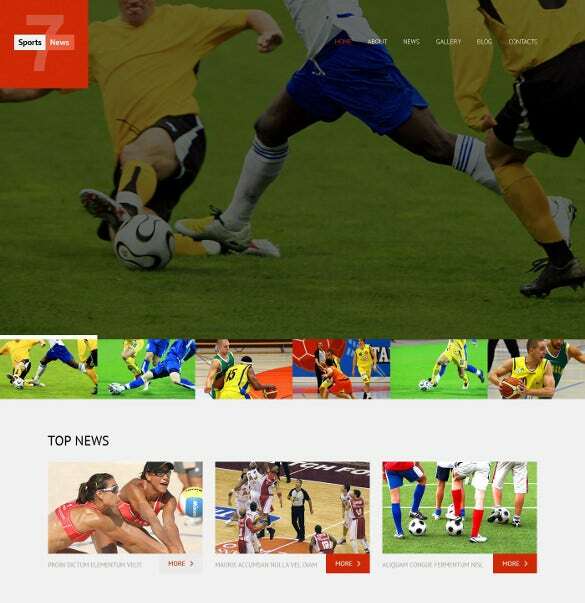 With validated HTML5 and CSS3 codes, fully responsive layouts, Homepage FlexSlider, Ajax, cross browsers compatibility, Google web fonts, Main Events WordPress PHP News Theme has been one of the best option for news or magazine houses. 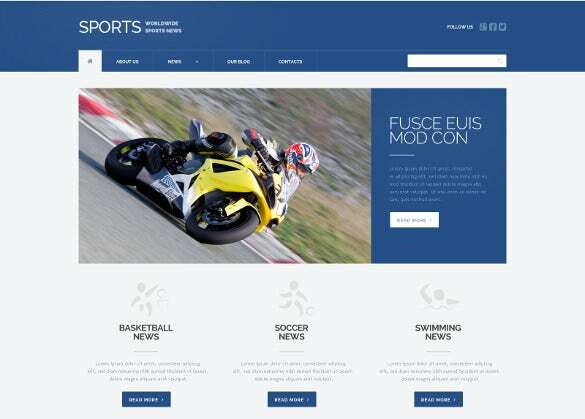 Advanced theme options, sliced PSD, custom page templates, drop down cart, Accordion, Carousel support, cross browser compatibility etc., the Sports News Responsive WordPress PHP Theme is ideal for sports agencies, sports blog, news etc. 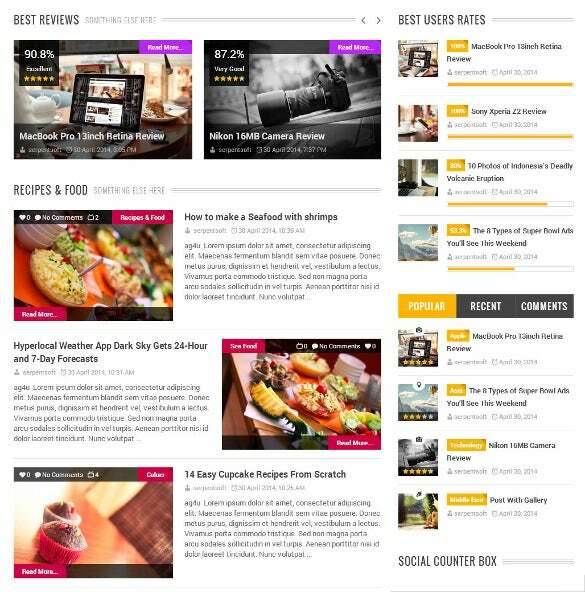 Best suited for magazines, news and blogs, Shoutbox NEWS Magazine PHP Theme has easily adaptable layout with responsive features, HTML and CSS3 coding, SEO rich features, Bootstrap based framework and plenty of font and colour options.